Marriages have had mandatory filing requirements with county officials since Washington Territory was created in 1853. Prior to 1968, Washington marriage records were maintained by the county auditor. The Department of Health, Center for Health Statistics, started its jurisdiction over marriage and divorce records as of January 1968, and copies can be obtained by anyone in person, by mail, by phone, or online through VitalChek, which sells Washington vital records. Historical marriage and divorce records from the time of county formation until 1968 can be located at the Washington Archives Regional Branches, while marriage records are also found at the office of the county auditor and Washington divorce records also at the county clerks of the District Court. The Washington Archives has a 1968-1997 index for marriage and divorce records. Record Access Requirements: Written request is required, there is no public viewing. Note: The AOC offers online access to trial court records via an online system. Note: Two types of records available: 1) General Public (all juvenile and adult convictions and arrests less than one year pending disposition); and 2) background checks by employers, including of volunteers working with children or vulnerable adults. 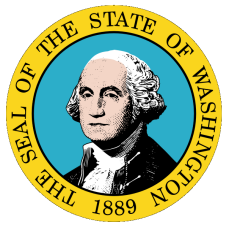 Record Access Requirements: Email criminal history information questions to crimhis@wsp.wa.gov. Email background check questions to watch.help@wsp.wa.gov. Note that a record per the Child & Adult Abuse Act is available for non-profits for no fee. Search Note: Records are 100% fingerprint-supported. Mail requests are directed to the WSP or e-mail to crimhis@wsp.gov. Record Access Requirements: Records are not destroyed and eventually archived with Sec. of State office according to that office's retention schedule..
Search Note: Location, CCO, parole review data, counselor, and DOB are released. For anything other than this basic information, a written request is preferred.